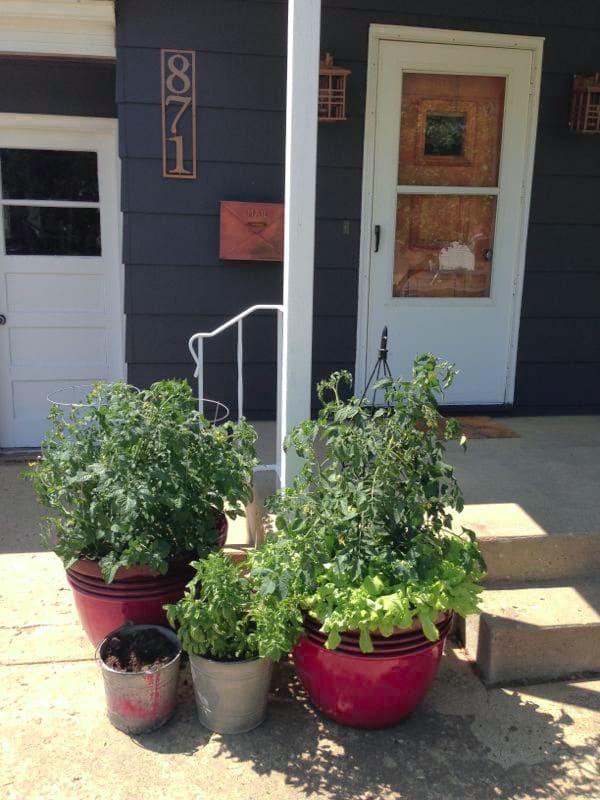 When we bought this house at auction, this is what the accents around the front door looked like. 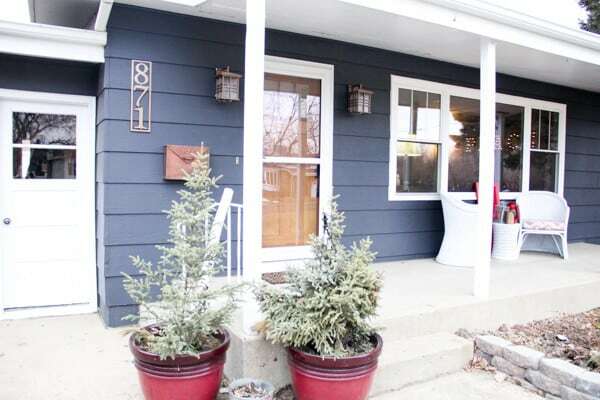 The house numbers were dated, the lights were too small, and the dated mailbox looked out of place being the only black on the house. 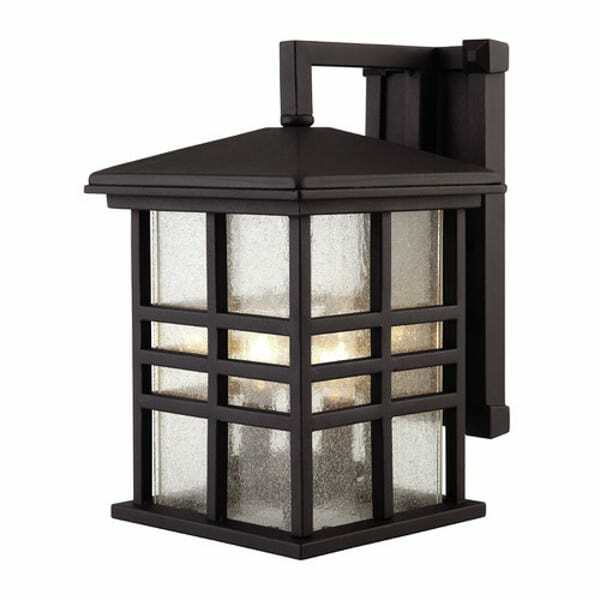 After deciding that we were going after a craftsman vibe, I found these great Craftsman lantern lights that I loved. Because we were painting the house a shade of black, I didn’t want the lights to blend into the house. I used Rustoleum Universal in Aged Copper for painting my lights. 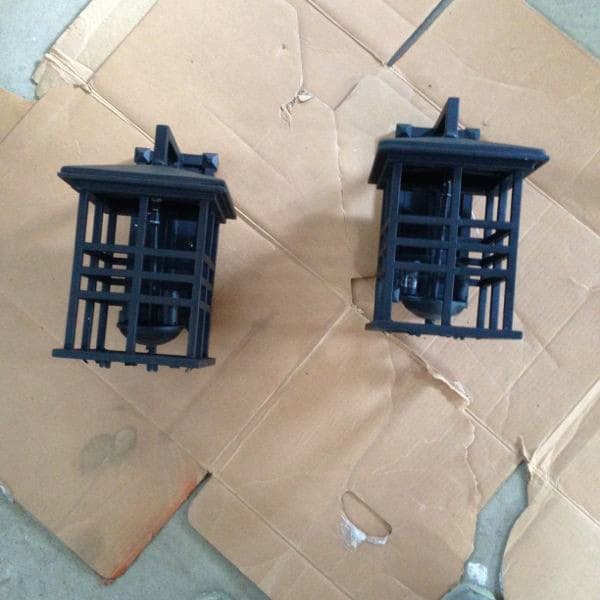 First I took the glass inserts out of the lights so that I could spray them. 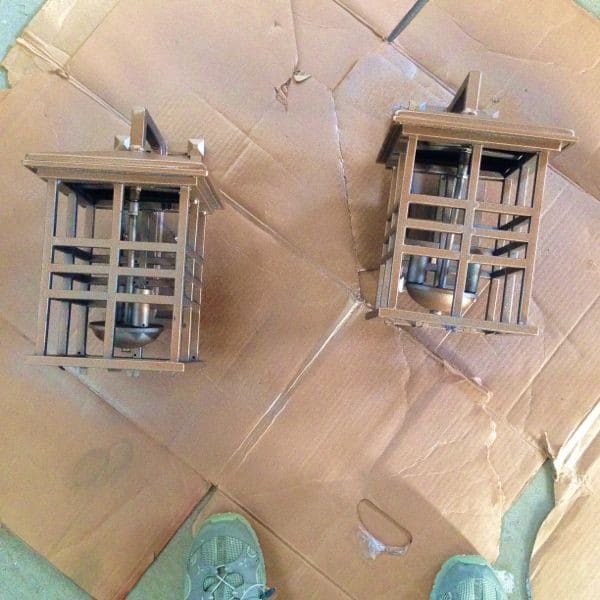 Then I sprayed about three light coats of spray paint. 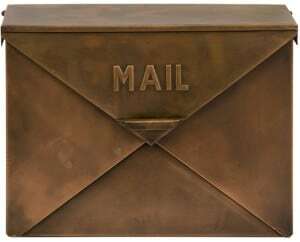 After deciding to go with copper accents on the house, I found this BEAUTIFUL copper mailbox. Because it is actual copper it will probably get a patina over time. If I decide I want it to match the lights I can always spray paint it to match. I also may like the way that it patinas and leave it alone. Over time I’ll decide. 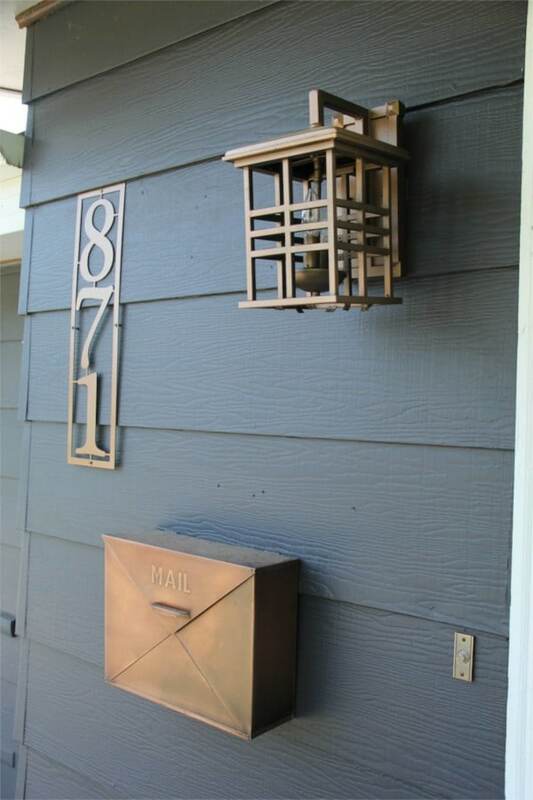 After hanging the lights and mailbox I found the Etsy Shop Glamorous Findings, where I was able to order their custom metal vertical house numbers. 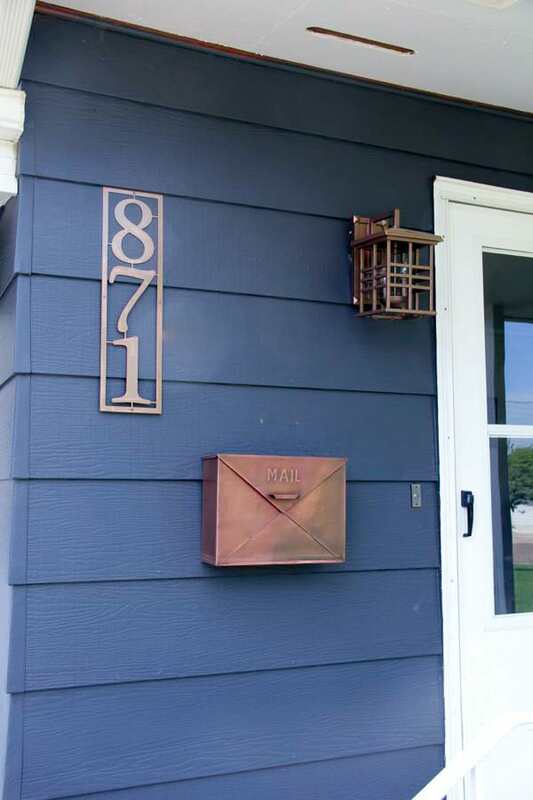 Once the house numbers arrived I excitedly painted them with the aged copper to match. 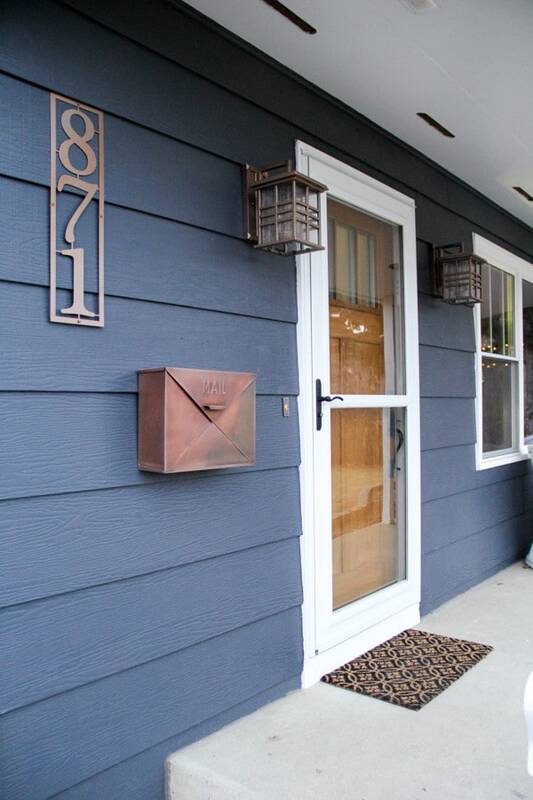 Our driveway is fairly long so I went with the 7″ house numbers so that our house number is readable from the street. 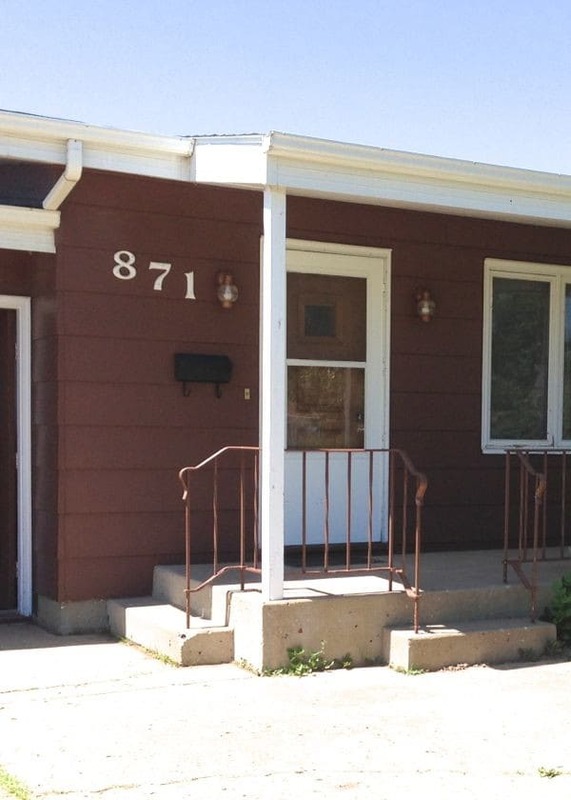 If you had a longer house number though the 7″ could get a little out of control. Initially I wasn’t positive how I wanted to arrange everything, but I really like how it turned out. 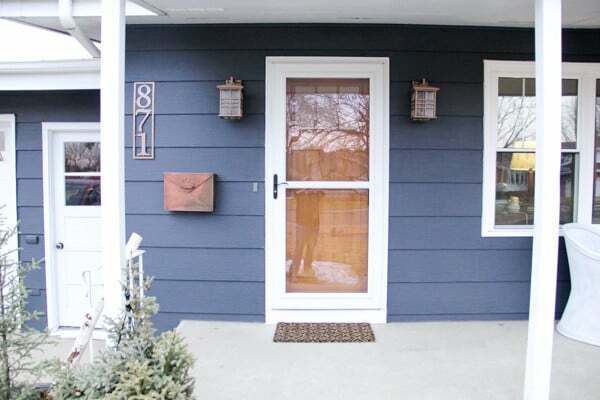 Our lights and numbers looked so good that we ended up switching out our front door and storm door as well! All of these updates are definitely a step in the right direction! Hi Jess. I just ran across your blog, and I am so excited!! I wanted to sign up to get updates on your projects, etc., but could not figure out how!! If am sure I overlooked it somewhere!! If you could either sign me up, or send me the info, I would appreciate it! Have a blessed evening! Thank you so much! I was messing around with the layout and accidentally deleted it! It is back now near the search bar on the right side. I really appreciate it!